How can I help? 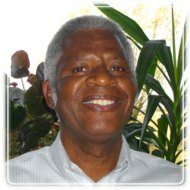 Contact Josiah M. Mutua, M.A. Counselling Psychology. Please feel free to call me at 204-995-2735 or send me a message day or night using the form below. I can understand your problem situation, its impact on you, your longing, and the need for change. I can feel your loss. I sincerely want to support you. I can help you develop effective approaches, skills, and resources for change and sustained growth. Get in touch!